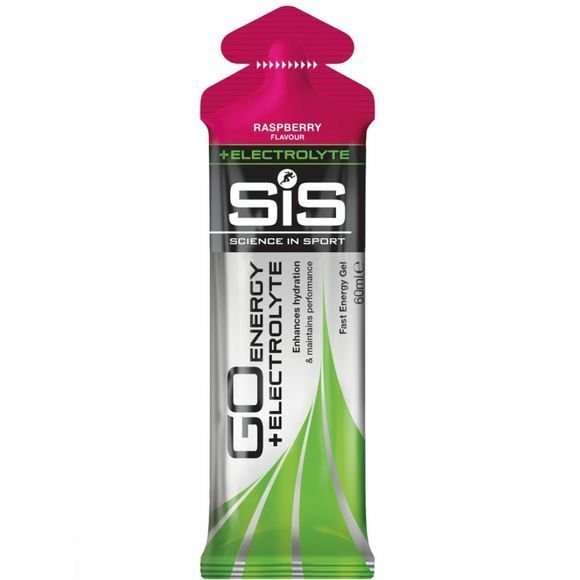 The SiS Go Energy + Electrolyte gel Raspberry provides athletes with a new and versatile option to enhance their training and racing. Electrolytes including sodium, potassium and magnesium are lost through sweat and need to be replaced in order to help the body maintain fluid balance, alongside an appropriate fluid intake. The SiS Go Energy + Electrolyte gel builds on the established science of the SiS Go Isotonic Energy gel, the world’s first and truly isotonic energy gel. The gel not only delivers a rapid supply of easily digestible carbohydrates (22g) for energy, but also provides 118mg sodium, 9.5mg potassium and 1.5mg magnesium per gel.